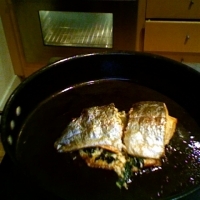 Stuff trout with fresh mint and fresh basil easy to make for romantic dinner. foreplay start in the kitchen! Like exclusive's recipes? Never miss an upload!